King County Metro Bus Injury Claims | Davis Law Group, P.S. King County Metro buses serve routes all over the greater Seattle and King County area providing transportation for thousands of travelers and commuters every day. Dozens of metro buses are on local city streets, roads and highways at any given time. King County buses are involved in many accidents with motor vehicles, pedestrians and cyclists every year. These crashes can cause major injuries and/or death of the accident victims. If you or a family member has been injured or killed in an accident involving a King County Metro Bus contact attorney Chris Davis and the team at Davis Law Group. It is important for the survivors and families of a bus accident to work with an attorney that has experience with bus accident lawsuits and settlements. Call (206) 727-4000. In December 2015, a 94-year-old woman was inside a marked crosswalk proceeding with the walk signal in her favor when she was tragically killed by a King County Metro bus. The driver failed to yield. The woman was pinned under the bus and dragged some distance before she died from blunt force injuries to the head, torso and extremities. She was pronounced dead at the scene. After filing a lawsuit against King County Metro, Davis Law Group successfully negotiated with the county on behalf of the grieving family and reached a pre-trial settlement of $1.35 million. The King County Metro Bus is constantly changing and expanding, and has become a major public transit system in the Puget Sound region. While the bus system is largely efficient and cheap, the tradeoff is putting you and your loved one’s safety in the hands of public employees and officials who operate and maintain the buses. 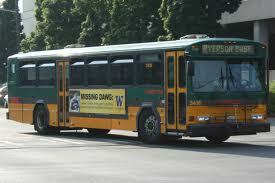 Davis Law Group has represented victims of accidents and injuries involving King County Metro Bus. Attorney Chris Davis and his legal staff understand the statute of limitations and other challenges in bringing claims against King County and other public transportation entities. 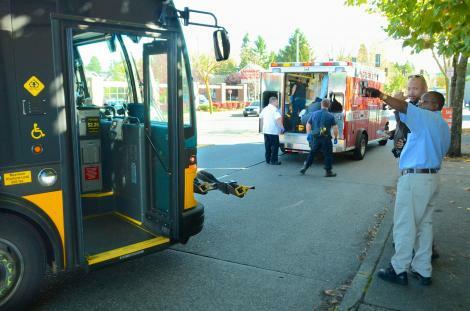 Our attorneys represent people seriously injured in King County Metro Bus accidents. Contact us today for a free lawyer consultation. Call (206) 727-4000, use the chat feature below or fill out the form on this page. Although King County Metro has an extensive training and safety program for its drivers, operator error and improper vehicle maintenance is the cause of many accidents. Frequently driver error is the primary cause of accidents involving a metro bus. Driver inexperience operating a large vehicle or bus can be a factor in these accidents. Drivers who are not properly trained; are tired from long shifts; or are intoxicated often cause accidents. Drivers are under a great deal of pressure to keep buses on time despite traffic—hasty decisions under pressure can also cause collisions. Buses commonly rear-end other vehicles. Mechanical failure occurs as a result of improperly maintained buses and installation of defective or damaged parts. Following accidents that involve mass transit buses, investigators will review the bus company’s safety records and maintenance history. Investigations will often demonstrate past history that includes numerous safety violations and failed checkups including brake problems and other maintenance issues. A first-party claim. Also known as a no-fault insurance claim, this is typically provided by the victim’s own insurance coverage. Victims with personal injury protection (PIP) coverage can file a claim with their insurance company, and it will cover immediate expenses related to the accident such as medical bills, lost wages, etc. A third-party claim. Filed against the party or individual that caused the crash. This may include the bus company or government agency that oversees the busing. These claims must go through the personal injury legal process and are usually fiercely contested by the bus company. Wrongful death claim. In the event that a bus accident causes a fatality, the surviving family members may be eligible for a wrongful death claim for damages. After a serious accident involving a King County Metro bus, the insurance company for the county will likely want to settle your case as soon as possible, and for as little money as possible. The less money the insurance company pays out, the more money stays in their pockets. As a victim, you need time to sort things out. How serious are the injuries? What treatment do you need? How much time from work have you missed? These are all considerations, and the mounting bills are likely stressing you out. While a bus accident can be a harrowing experience, getting help doesn’t have to be hard. The attorneys at Seattle-based Davis Law Group can fight for the compensation you deserve while you give yourself time to heal from your King County Metro Bus incident. To schedule a consultation with a Seattle bus accident lawyer, give us a call at (206) 727-4000 or fill out the online contact form at the bottom of this page. Our attorneys work on a contingency fee, meaning we don’t get paid anything unless you win your case.